Is Stoptober 2015 a good starting point to quit smoking ? Of course, as you wisely have made that first step to quit. Do you genuinely want to remain a non-smoker. Hypnotherapy is fastest becoming the favourite amongst the stars to quit smoking. The list includes Ben Affleck, Matt Damon and Ewan McGregor. Why ? Because it has one of the highest success rates to quit smoking permanently. And it will work for you! But I am afraid of quitting permanently ? Some smokers feel it`s part of their identity. Think about this. You are never a smoker, just some-one who smokes cigarettes; it is the cigarettes that smoke. This means smoking cigarettes are not part of you, but an external action. Life and the problems it throws at us is still there, with or without cigarettes. Smoking is an additional burden- to your finances and health. Hypnotherapy ends that fear and gives you the confidence and pride to move on to a healthy outlook, for life. Addiction or habit ? some smokers can quit overnight, some only smoke socialising, most won`t smoke in front of their children or sleep through the night without the need to smoke. Addiction wouldn`t allow that luxury. What is a habit ? Smoking by it`s very nature is a repetitive action. So as with anything that is repeated often enough, the mind takes this on board as normality and then this becomes a habit. Habits are really useful, because as with any habit it is way below conscious thought, so habits initiate that inner automated response. As any habituated action is undertaken without seemingly, having to think about it, so if necessary, will consequently allow the mind to focus efficiently on other tasks. Why do some smokers feel powerless to quit ? The part of the mind that runs the smoking habit loves the comfort of repetition and routine. Consequently hates change. Any habit starts to feel normal so being a non-smoker can feel as though there is something missing without cigarettes. What about the nicotine ? Nicotine does play a part in all this, but not such a large part as many believe. After around 48-72 hours of stopping there is no nicotine left in your system. It is more about the associations you have built up over time. If a smoker always lights up at the end of meal this will somehow seem to finish and round it off ; the same may apply to alcohol. Or to relieve boredom while they decide what to do next. These are examples of triggers that often initiate the need for a cigarette and are far more powerful than nicotine. Smokers condition themselves to expect and recieve some benefit from smoking a cigarette. When there is that expection of some benefit from smoking, the thought of this triggers off the mind to totally focus on lighting up. So much so, people are, in essence, self hypnotising themselves to smoke. Why hypnotherapy? The fact smokers are so focused on that next cigarette the best way to redirect those thoughts are to work in the same place that triggers off the urge to smoke. Reasoning with the conscious mind usually doesn`t work long term. Every-one knows the risks of smoking, so if common sense was all people needed to quit, there would never be a struggle to quit or the need for willpower. The best way to change comfortably is to not only stop smoking but stop “being” a smoker by changing the way smoking is viewed. In this way the normality of smoking is restored back to feeling unnatural. In fact it will be something that is not even a consideration and they may even wonder why they had put off quitting for so long and why they even started smoking in the first place. Hypnotherapy is the natural route to successfully stop smoking. Hypnosis can really help smokers understand their reasons for smoking and the ability to appreciate the benefits of quitting. This offers a whole new perspective on smoking, by re-thinking all the situations that made it a compulsion, not a choice,to light up. By identifying these, new habits can then be created. Habits that put the smoker back in the driving seat giving back freedom of choice. What are the first steps? identify your personal reasons for smoking- for instance is it to relax,to concentrate,to socialize or simply you enjoy a smoke? Also ask yourself what situations are linked to smoking; is it to end a meal, have with a drink, before bed. Possibly some other reasons and situations or a blend of these. 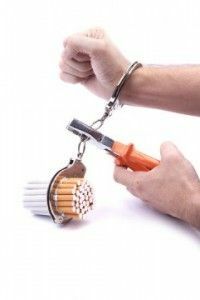 With the help of a skilled hypnotherapist you can have a completely different perspective on smoking so those reasons along with the desire to smoke no longer exists. * Hypnosis ends that fear, ends that denial. * Hypnosis gives back confidence and pride to move towards a healthy outlook- for life. * Ivertherapy can give you the best opportunity to successfully quit- for life. This entry was posted in Quit Smoking For Stoptober 2015 and tagged Ben Affleck, benefits of quiting smoking, change habits, cigarettes, craving, craving cigarettes, cravings, Ewan McGregor, first steps to quit smoking, giving up smoking, hypnosis, hypnotherapy, Matt Damon, nicotine addiction, quit smoking permanently, remain a non smoker, self hypnosis, smokers can quit overnight, smoking, smoking addiction, smoking cessation, smoking triggers, stars quit smoking, stop smoking, Stoptober, stoptober 2015, willpower to quit smoking on October 1, 2015 by Ivertherapy.